I sewed a number of things last week including bibs for a friend’s baby and a little lavender sachet but nothing big. This past weekend I singed up for the Craftsy class, Design It, Quilt It: Free Form Techniques with instructor, Cindy Needham. This is an excellent class and Cindy is a great teacher if you want to learn detailed and heirloom free motion quilting. 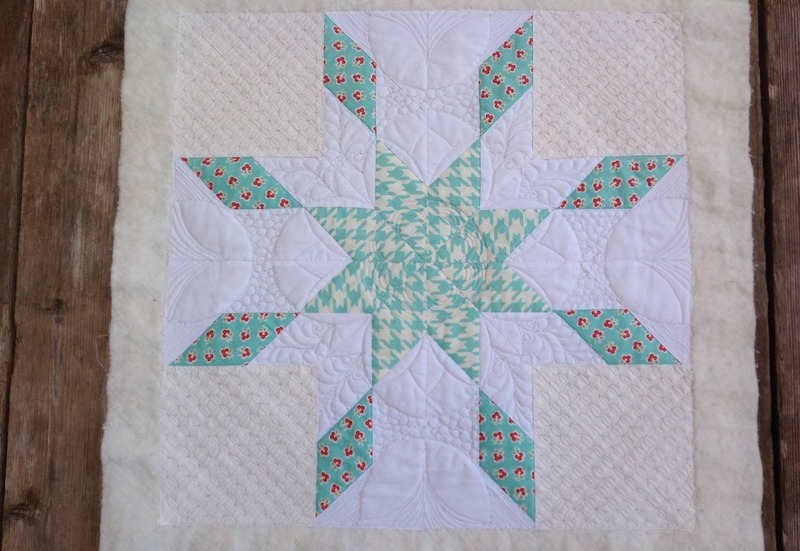 I used my Easy jellyroll star orphan block since the corners were pieced in Kona snow in error, as practice. I used glass bowls to create the arc designs and drew 1/2″ grids in the corners. Deciding which pattern goes where is a hard decision, you never know what it’s really going to look like until it’s complete and if you don’t like it, too bad. I used Aurifil 50wt thread for the piecing and quilting, it’s the finest I have. Gutermann 50wt is just too thick. It is tedious but rewarding but I managed to quilt all of this by noon, walked the dog and got on the treadmill. 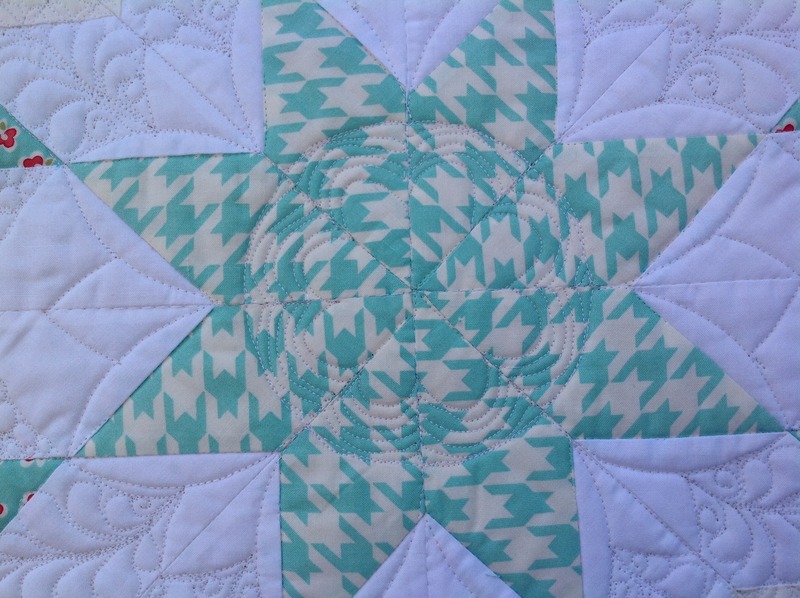 This entry was posted in Cathedral Window, Craftsy, FMQ and tagged Bonnie & Camille, Vintage Modern by Tabatha. Bookmark the permalink. I’m taking that class also. She’s a great teacher. Question…have you had much FMQ experience? 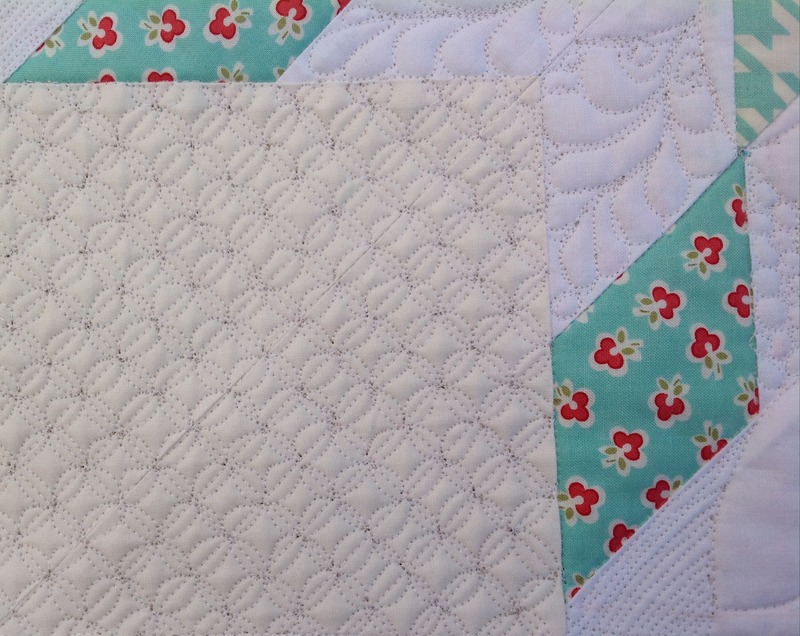 Because that quilting is awesome and I can’t wait to begin practicing! So far, I’ve just watched the videos. My darn job keeps getting in the way! But I’m always doodling now. I love the way she teaches. Excellent work! I’m totally impressed. I was thinking about taking that class also. 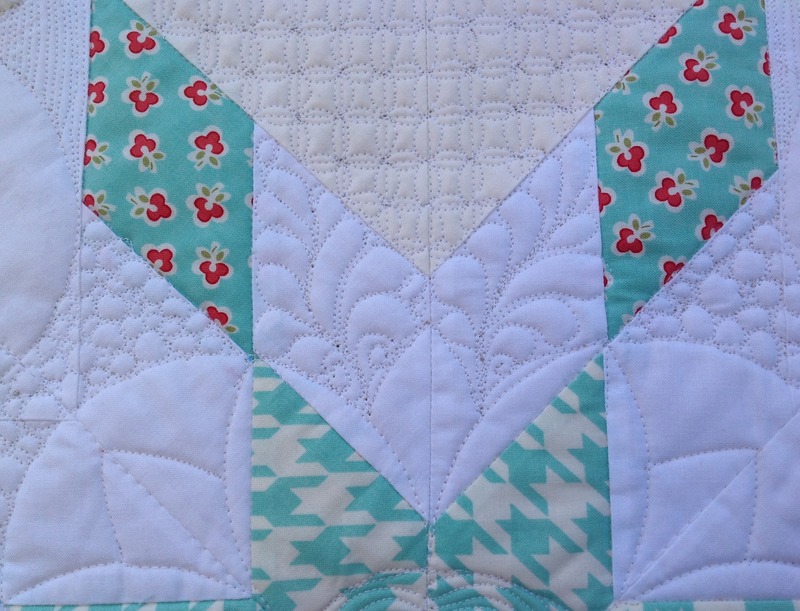 If you’ve only been doing FM quilting for less than a year and you produced these results — WELL SIGN ME UP! Beautiful work. I love it. Now you having me thinking about taking that course! Do it, Cindy is an excellent teacher! Even though I knew some of the beginning steps, she had some new to me methods that I just didn’t think of! Just beautiful! I am truly jealous!